The Property Council of Australia has moved in to new offices at 10 Moore St, Canberra, bringing the recently-upgraded building to full occupancy. Diversified property group Quintessential Equity purchased the property in 2014 before embarking on a full refurbishment of mechanical systems, lobbies, lifts and bathrooms to reach a 4.5 star NABERS base building energy rating. 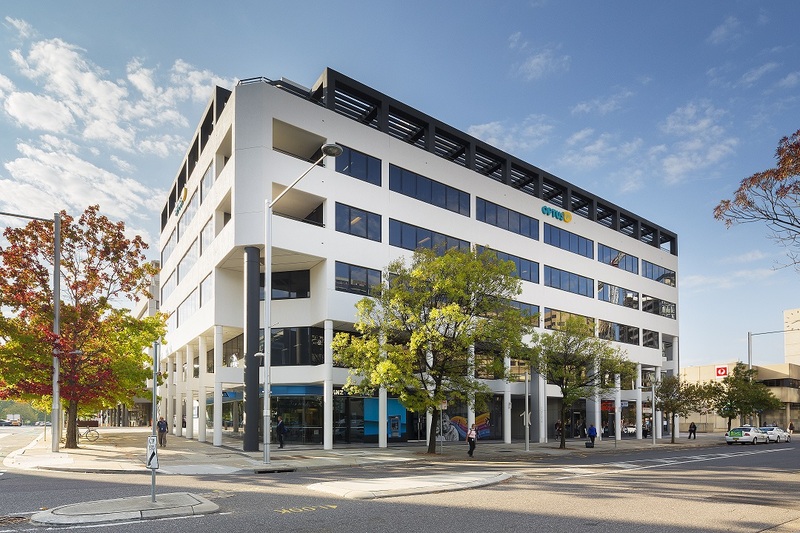 The Property Council’s ACT Division will occupy 120sqm of the five-level 6,700 sqm office and retail building known as the Optus Centre in Canberra’s City West precinct on an eight-year lease. Colliers International and Raine & Horne Commercial were the leasing agents, and Quintessential Equity delivered the office fit-out. The Property Council of Australia (ACT Division) Executive Director Adina Cirson said the entire process had been smooth, from design to being handed the keys. “The building will be an absolute pleasure to work in,” she said. “The refurbishment is so tastefully done – and all of the fit-out works were managed and carried out with professionalism by both the Quintessential and Colliers teams. The General Manager of Asset Management at Quintessential Equity, Noah Warren, said they were proud to have welcomed both the Property Council and Master Builders Association – in different buildings – as tenants in Canberra. “It’s high praise when groups with that level of knowledge and expertise in property choose Quintessential Equity to be their landlord,” he said. “We give tenants the option of having us handle the fit-out because it means they have one less headache to deal with – it’s peace of mind, not just a financial benefit. It makes the process of moving that bit easier.